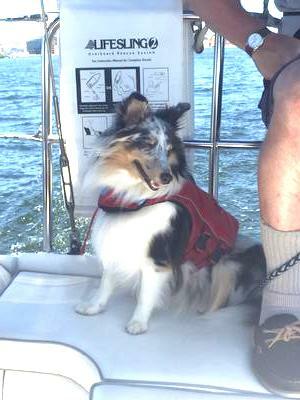 Pepper’s first sailing experience. She was a good crew. Pepper has been such a joy since we took her home from her mama Linda, who is an amazing sheltie breeder. We brought home a very socialized puppy on day one. Pepper is a very laid back puppy, yet high energy when playing with us and others. She has made friends with our neighbors’ dogs and children. She’s comfortable in cars, boats and kayaks a true adventurer. Thanks to Linda’s effort in making sure her puppies leave the litter as confident, and well socialized puppies.